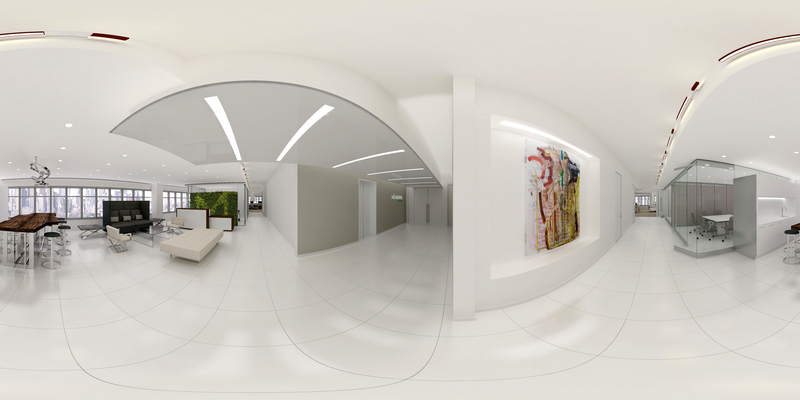 I've been working on some Pano renderings. My company would like to start using them in presentations. I have a bunch of questions about it so I will list them below and any help would be grateful. - I've been working at this company for a year and I am there full time rendered pretty cool! 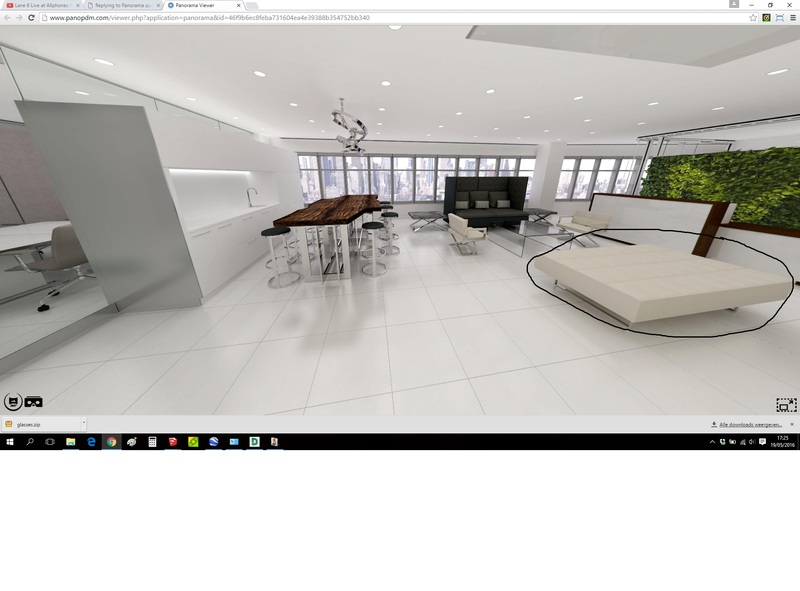 We had an outside company come in yesterday showing us there panoramic renderings and there renderings that they use. He had a pair of VR gear glasses that you hook the phone into and I liked the way they operate as you can scroll through them on the side of the glasses. He then later explained that they only work with Samsung phones and the company here is all apple phones. I was trying to do some research for glasses but cannot find ones that look good. Does anyone have any suggestions? - When viewing through the glasses (which was my first time) I thought it looked very grainy or line-ey (not sure how to describe it lol) is that how it typically looks though the glasses? - My company wants to put the Panos on our website. Is there a program that will spin them for you? Instead of the user having to operate it? Not sure if something like this exists. I've seen the YouTube Pano tutorials but you still have to operate it yourself. - Lastly, My company developed this realllllly cool IPad Ap that is a way finder for our showroom. 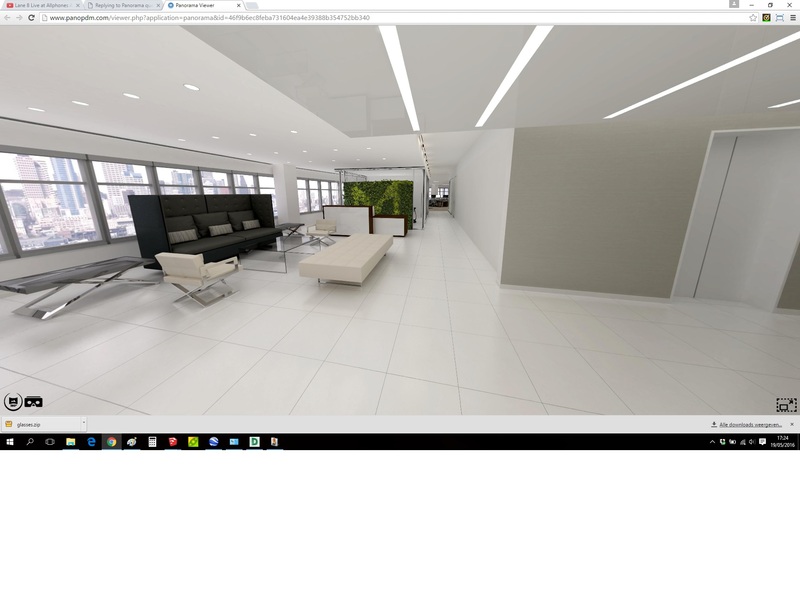 All of the images I rendered with podium and we use it to give tours in our showroom. We eventually want to add Panos to that as well. If you have a chance check it out! It is called "Meadows Workspace." We use I beacons when you are in the space and they blink when you are near the furniture. If you click it, it takes you into the furniture and tells you about it. 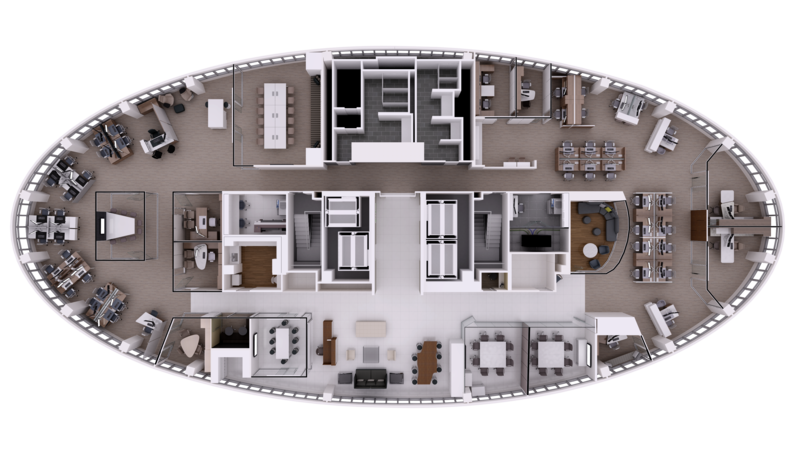 I've attached the one large overall floor plan I did for the ap which is basically what you use to navigate. 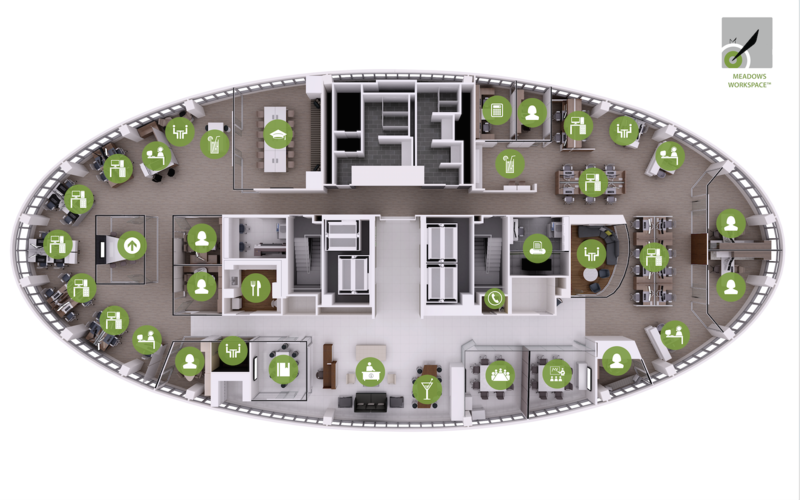 We would eventually like to add a new icon on the floor plan that would activate the Panos. I think that is all for now!! Sphere cast does not have a great quality. Our own panorama server gives much better results: straight lines and clearer view. The image will always be distorted at the edges of the screen tho, and you need a pretty big resolution to get good results( I do 6000 X 3000). Google cardboard can be a really cheep cool glass thing. But it's only a cool thing, not a professional tool IMO. Nothing beats a a great HDTV. Glasses quality will never be as good. So yes that's normal. Our pano Web set server has an auto rotate feature. You can make a Qc code to link to your online panoramas and print them next to you plans! 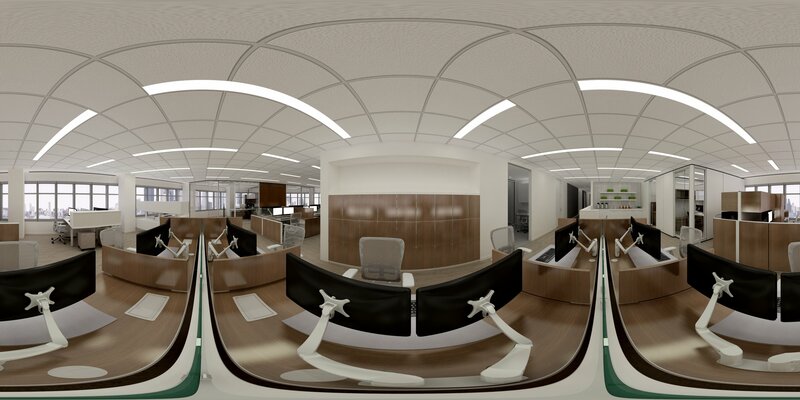 We use the Panoramic feature a lot at my workplace and if fact we have almost stopped doing still renders because the 360 Panoramic's explain so much more that a still image. I think they look really good, it does help to render them on a high preset and at a large resolution. Plus you can also now add line overlays to Panoramic's using the Cubic VR plugin by Podium, which can add some definition to the render. 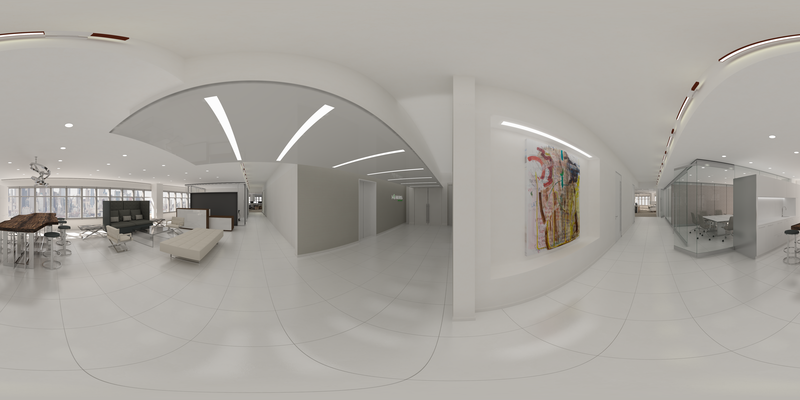 We often show clients the Panoramic's on an iPad and we now have and iPad Pro this makes them look amazing, although using an iPad is not a VR experience its still tons better compared to showing a client lots of still renders. I am not sure about getting the Panoramic's to spin, we have not looked into this yet. The iPad app looks really great, your renders are very good too. This is an intresting topic . I'm also using more and more the panorama function from podium because like nat says it tells/shows a lot more then static renders. And if you put it in a vr glas people are always even more amazed. But i have still some things that are not very clear to me. Like you see in this topic: https://supodiumforum.websitetoolbox.com/post/panorama-8110474?pid=1292264616. And you also see it in these renders from yackejack i know this is being picky but i just want to know if you could avoid these things. See pictures. Because now i have a project for a new store where i need to make some panorama's from. I putted some red dot's this is where i would place the camara to start rendering. 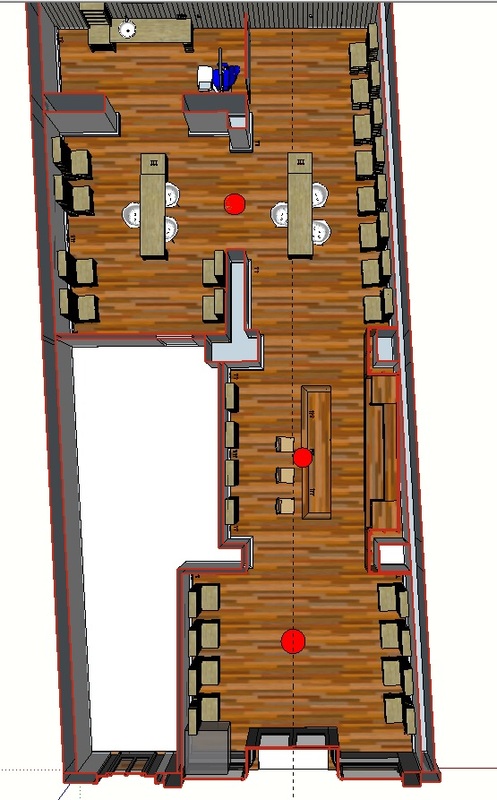 But i think i will have the same ''stretching problem'' whit these marked out points because the rooms are rectangles. Does someone have some tips/hints to avoid these things? Wow! How did I not know about this podium server! it looks soooooooooo much better. I just showed our EVP and she loved it. I am not seeing this auto rotate feature that you mentioned nick? Can you tell me where to find it. Also how do I access this server? I like the idea of the QR reader. We will look into that. I think for now i'm going to order a pair of the google cardboard ones to just check it out. We were also looking into a 3D printer maybe we can make our own glasses as well! Thanks for the info! This is the web address for the server: http://www.panopdm.com you will need to register, it's very straight forward to use. We will be adding the auto-rotate feature as an option to our pano server soon. When uploading a Pano to the podium server, is it normal for it to take a very long time to process? The file is quite large. We just got the cardboard glasses in today at our office so we are experimenting. Everyone thinks its very cool! EDIT: forgot to add, our website people want to know if there is way to disable the notification that asks if we want to leave the page when viewing on the web? Looks like we might have an issue with the Panorama server at the moment. You can't disable the leaving webpage note. I find it irritating as well though. I'll see if I can get it removed. I was trying to upload from the webpage. This is what it shows, Its been that way for a while now. Can you try it again please? Log out and then log back on. We had a glitch that we believe has been fixed. Works for me. How big is the pano file? And that would be awesome about removing the pop up, Right now it's the only way we can think of to display these on our website. Unless some one has a better idea? To display them on your website, you use the Create Panorama File option, and store the html and image file in the same folder. Unfortunately it doesn't have the same features as the Panorama server though - it's a simple panorama that you use by manually dragging across the image. Your web manager might be able to embed the Pano Server images, but i have no information on this. Embeds from the pano server are really simple, just a single line of html. Then just switch the link to one of yours and set it to whatever width/height you want. I'm going to send this to our web people see if they can make it work.